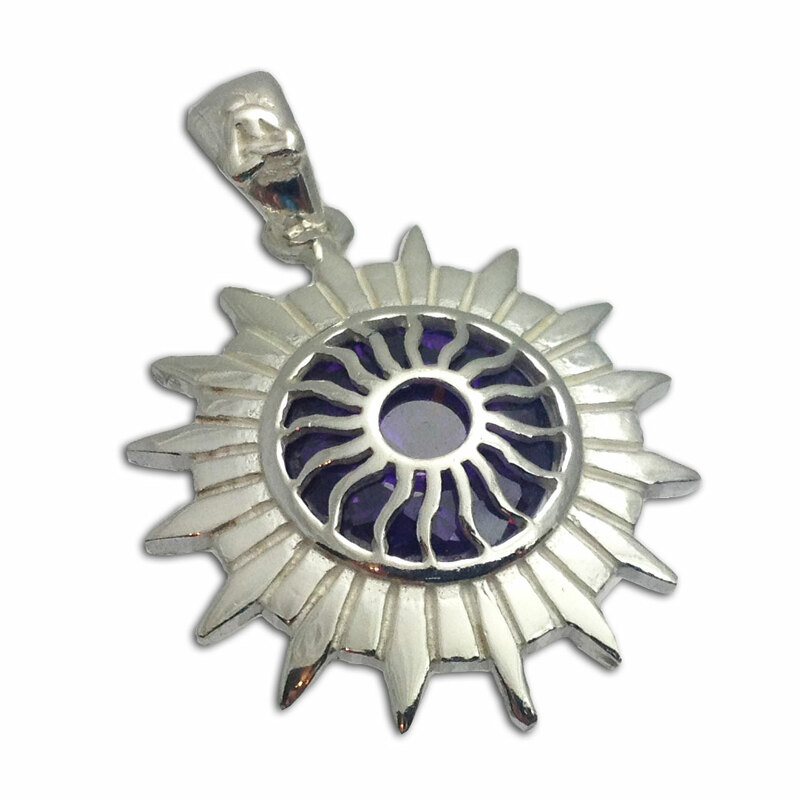 Sterling Silver Crown Chakra Pendant with amethyst colored cubic zirconia. 2 cm. Crown Chakra (sahasrara): Enlightenment. Unity. Serenity.